The Blancpain GT Series is aiming to open up the Spa 24 Hours to more strategy with the introduction of what are being termed joker pitstops. A yet to be determined number of jokers at the BGTS Endurance Cup centrepiece round would allow cars to pit without having to respect the minimum time mandated for fuel stops. Tight pitstop rules for the BGTS enduros, as well as those governing the maximum length of stints, have reduced the teams' ability to employ tactical variations at Spa. The jokers would enable teams to save time in the pits by double stinting tyres, something that is hard to achieve at present, or make a short stop for a top-up of fuel during a safety car. Series boss Stephane Ratel told Autosport: "We want to reinvest a bit of strategy back into the racing." The draft sporting regulations circulated to the teams allow for three joker stops, which would not be subject to any time limitations, at the Spa enduro in July. 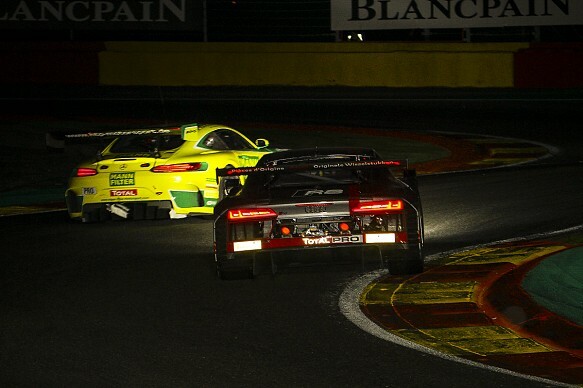 These would be permitted after the end of the 15th hour up to the final 70 minutes of the race. Some teams have proposed a variation on this rule, suggesting that one joker stop should be allowed to each car every six hours. One joker stop would be permitted to be taken at the Paul Ricard 1000Km six-hour race in June. None would be allowed in the three-hour BGTS rounds. The rules that set the length of the stops, measured from pit-in to pit-out, are also set to be changed. As well as the minimum time for a full stop, including fuel and tyres, there was a lower limit for fuel stops that did not involve more than one tyre being changed. The lower time looks certain to be abolished for any car taking on fuel. The Auto Sport Promotion Mercedes team was able to exploit the rule last year after protracted safety car running and got its car out under the lower mark without changing tyres, despite a reduction in the permitted time from 115 to 95 seconds. 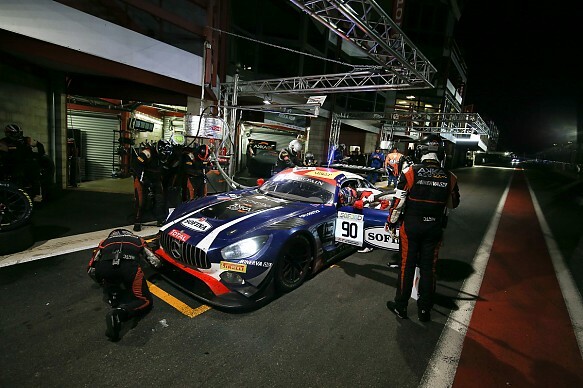 The BGTS Endurance Cup is set to follow the lead of the World Endurance Championship this season by allowing wheel changes at the same time as refuelling. Ratel believes the move will create a greater spectacle in the pits and to help smaller teams to compete with their better-funded rivals. The calculation for the minimum pitstop time includes approximately 40 seconds for fuel and 22s for the tyre change. This often resulted in cars sitting stationary in the pits, because teams had to respect the minimum stop time. Ratel said that it "looked weird" having cars waiting in the pits. He explained that the move would also help level the playing field in the pits because a team will now have 40s to change tyres. "Some of the top teams have two extra mechanics who are trained for wheel changes and that is all they do, but not all the teams can afford that," he said. The change has been criticised by WRT Audi team boss Vincent Vosse, who suggested that it would compromise safety in the pits. More meetings between BGTS organiser the Stephane Ratel Organisation are scheduled for this week at the official pre-season test at Paul Ricard to discuss the rule changes, which remain provisional.